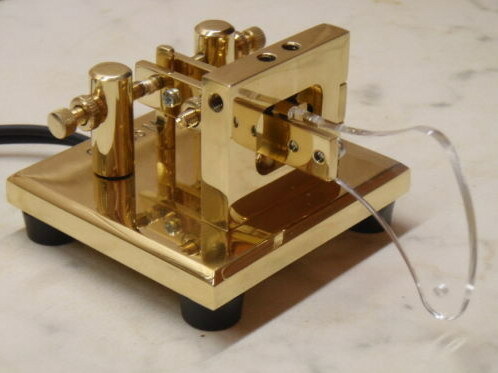 Teaches and practices American and Continental (radio) Morse code. Telegrapher's keyboard - slashed zero and so forth! You are welcome to non-commercial use of this font. use the applet (small application) to install the font. Five year old Gaby sending Morse code with paddles. *FLASH! * - KPH, KFS and K6KPH Return To The Air on Saturday 17 March (MRHS) - The crack MRHS Transmitter Department announced today that after a long absence from the air stations KPH, KFS and K6KPH will return, at least partially, on Saturday 17 March. On-air operations were suspended some months ago due to antenna maintenance issues. Some of those issues have now been resolved with the result that a partial return to operation is now possible. We expect continued operation on these frequencies each Saturday with more to be added as additional antenna problems are resolved. I just ordered me a new Cootie from Yury. It is his CT 755 L Single Magnet Tension Brass Lever Paddle. I will let you know how it works when it arrives; somewhere around the end of March. Here is a link to his site on ebay. 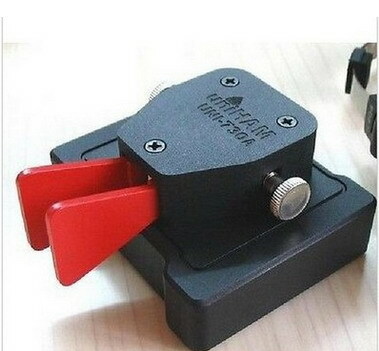 See for CT 755 B Single Magnet Tension Brass Lever Paddle. Based on an increase in email traffic requesting new and additional information on the art of Cootie Keying, I have attempted to respond with an update to my QRZ page narrative on the topic. Whether you are a seasoned Cootie user looking for new ideas to add to your key inventory, or a new-comer with no idea where to begin even with your curiosities and questions, I encourage you to visit my QRZ.com page. Not only have I featured my keys of choice, including a new Torsion Bar offering from W1SFR (he appropriately named it the TBCP which stands for Torsion Bar Cootie Paddle), I have included a link to what I have named the SKCC Cootie User's list which reveals approximately 100 SKCC member entries, each showing his Cootie keys of choice. Included in my QRZ page narrative is an attempt to describe what a Cootie is, and how it is used. While at my QRZ page you also will catch a hint of how this Cootie Craze has fully captured my fancy and preferred keying method which subsequently has left me with a beautiful VizKey Vertical bug collecting dust on the shelf, along with a spare Begali Blade straight key which needs a new owner. I have found in my selection of three favorite Cooties as described in the referenced narrative the ability to adequately and effectively communicate from the basic QRS requests up to and including the hottest fists heard in our SKCC domain. I am hopeful that through my illustrations, narratives, and examples I might encourage others to notice and select this amusing, and unique form of CW keying. Check out my QRZ stuff, and be sure to let me know if I might further respond to your questions and needs. The latest Space Weather report from Tamitha Skova. According to many media sources, a massive solar storm is supposed to be ravaging Earth today. But the stories are overblown. ... storming is expected to be mild and sporadic, causing minor inconveniences for GPS users, emergency responders, and amateur radio operators. Well, it's not a cootie, but still CW stuff!! It's very cheap for 37,27 Euro you have them in your house. For the time being, Dr. Pazo Panib is my friend.